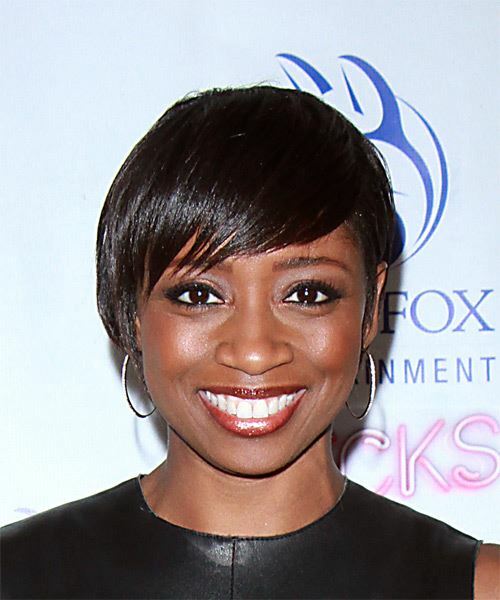 Montego Glover flaunts a chic and edgy look with this pixie cut hairstyle. The sides and back of this short 'do are tapered closely to the head while the top is longer and layered to the side for a textured look and feel. The bangs are swept across the forehead to soften the face and completes the over-all hairstyle brilliantly. Regular trims are needed every 4-6 weeks to maintain this shape. Finish this 'do off with a shine serum to show off the cut and color.